When retailers started releasing their fall collections, there were a couple of items I ordered from Banana Republic that I just LOVE. The great news is that these items on sale for a fantastic price today at over 50% off! 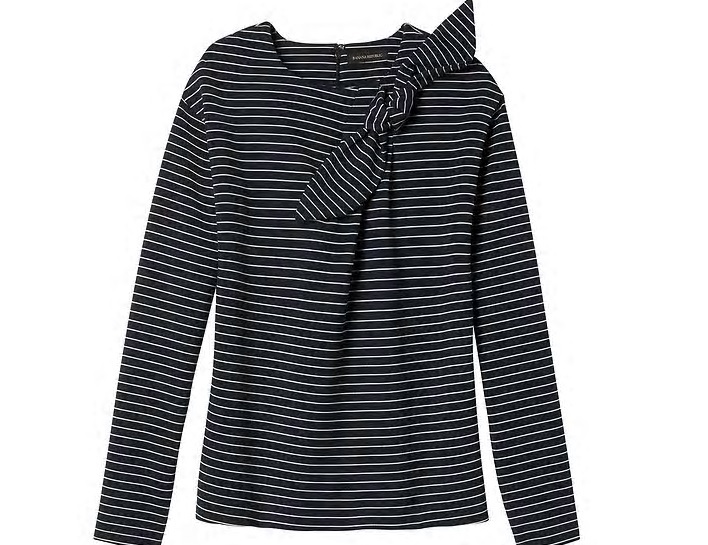 The Bow-neck Couture Sweatshirt comes in a solid and a striped option; it's SUPER comfy but can still be worn for date-night, to work, etc. The Italian Superloft Ruffle Cuff Crew comes in 12 different colors, it's a great piece that can be worn with jeans or with a skirt. 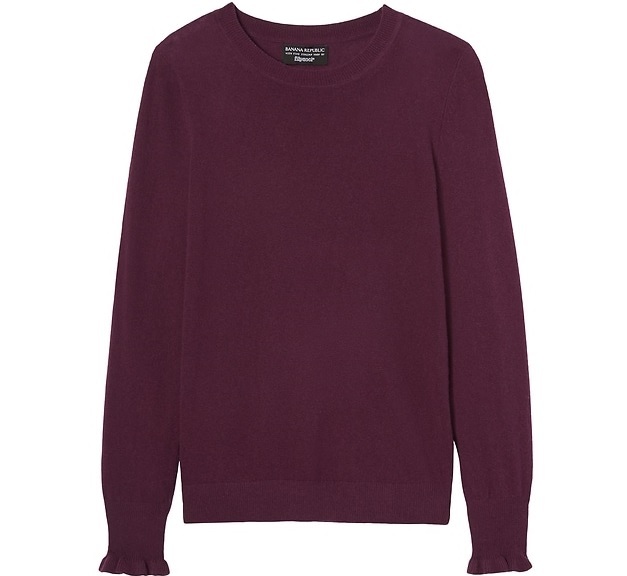 Another reason I love these items is because there is NO LAYERING REQUIRED. To get these prices simply click on the links below and add to your cart (the initial discount will apply as soon as you add an item to your cart). Then when you go to checkout, use code BRMORE for an additional 10% off. If you happen to have a Banana Republic Card you can also use code BRCARD and stack discounts for an additional 10% off. Free shipping on all orders over $50 and free returns.